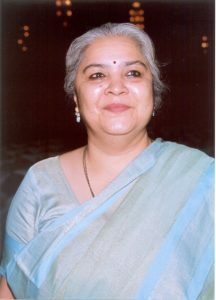 The author of the piece below is an erudite, illustrious lecturer, author, editor and daughter of the well-known Hindi novelist of yesteryears, Shivani. 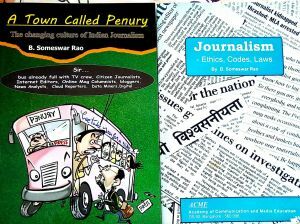 Ira Pande retired as the Chief Editor from the Publicity Division of IIC, New Delhi. ‘Kashmir is an integral part ofIndia‘. I have heard this line parroted by leaders of all political hues. It has always sounded like an arbitrary statement designed to rebuff Pakistan, and to reaffirm India’s military might over a coveted geographical area. Recently I came across facts that have totally changed my perspective on Kashmir. facts that have astounded me, but more than that baffled me, for they reveal glaring lacunae in the history we have been led to believeso far. It is understandable that the British established a syllabus for us that was designed to obliterate our glories and inculcate shame in us for all things Indian. But, 70 years past independence, we are guilty of still toeing their line. Thesee facts are proof that Kashmir is the fountainhead from which flows our culture, in fact, everything that defines our identity as Indians. Due to my education at an elite school, I had considered myself reasonably well informed. — and of Patanjali, who gifted to humanity his Yog Sutra. — Acharya Abhinav Gupt, one of the greatest scholars of all time, who wrote 46 literary classics, including the renowned Abhinav Bharti was Kashmiri. His principles of Ras (emotions) are taught in 80 universities around the world. Kashmir was considered the abode of Saraswati, the highest seat of learning in India and was also referred to as Sharada Peeth. So much so that when students graduated from Kashi, they took four symbolic steps towards Kashmir, denoting their aspiration for higher learning. Almost the entire body of Sanskrit literature has its origins in Kashmir. Rajtarangini, an authoritative historical tome on the royal lineage of Kashmir, written by Kalhans in the 12th century, outlines the greatness of King Lalitaditya, possibly the most powerful Indian Emperor of all times, whose kingdom in the 8th century extended from the Caspian Sea in the North to the Kaveri basin in the South, and included Assam in the East. How many Indians have even heard his name??? How many of us know that Srinagar was established by Ashoka or that Mahayana Buddhism was spread across mid-Asia, China and Japan by Kashmiri monks? Who are the ‘educationists’ who deliberately withheld such vital slices of history from our textbooks? How will the present as well as future generations realize that Kashmir is the keystone of our heritage through millennia, finding mention even in our oldest scriptures? I reproduce this because many who read it were surprised that they never knew these facts. Now ‘liberal’ ‘intellectuals’ of ‘tukde tukde’ gangs may say she is wrong and that Kashmir belongs to invaders from abroad who conquered peace-loving people. That may get them votes, for which they care more than for India . ARE MINDS THAT CREATE CONFLICT OVER RELIGION REALLY DEVOUT? ARE THOSE who want to shed blood in the name of religion really religious? 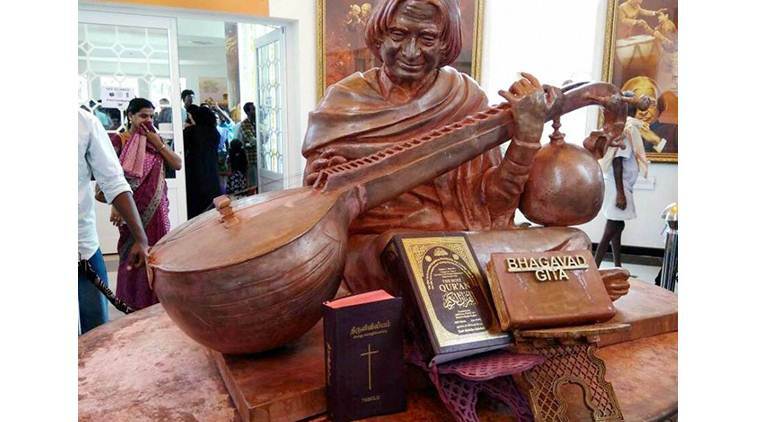 A controversy has erupted due to an engraved ‘Bhagavadgeeta’ (the sacred Hindu epic) near the statue the late president, Dr. A P J Abdul Kalam at his recently inaugurated memorial. His wise Muslim family quickly ended the row by also placing copies of the Quran and the Bible near the statue. There motive behind keeping only the Geeta there was obviously ulterior. Dr. Kalam’s family at least had the good sense of neutralize the mischief, but raising a controversy on the issue is equally malicious. No controversy has been raised over the way Sai Baba, who had lived in a mosque as a fakir in Shirdi, is worshipped with all rituals and huge statues of his with costly crowns set up in lavish temples. No controversy arose over huge temples built for Shiva who was an ascetic. No controversy has been raised about noisy ‘matadi jagarans’ (all night singing of songs in praise of a Goddess) with extremely loud amplifiers by those who object to Azan, the call for namaz (Islamic prayer) over loudspeakers in a Masjid at odd hours. No controversy has been raised by most Muslim intellectuals over the communal politics in Kashmir and the killing of Hindu Pandits there. Dr Kalam, undoubtedly the best President India ever had, could quote from the sacred Tamil epic, Thirukkural, and never made a fetish about being a Muslim. For him the Bhagavadgeeta was as sacred as the Holy Quran. He never made an issue of the Hindutva (pro-Hindu) stand of the BJP which was then in power . So the Congress opposed a second term for him and gave the country’s most exalted post to a woman whose only qualification was subservience (more than just loyalty) to the dynasty and Indira Gandhi. A controversy was raised when, as President, he went to Ahmedabad just after the unfortunate Gujarat anti-Mulsim riots, touched off when a train carrying Hindus working for building a Ram temple at Ayodhya was set on fire. Few cared to know that he went there for the centenary of his guru and mentor, Dr. Vikaram Sarabhai who pioneered Indian space science. Dr Kalam’s reverence for teachers is touching. Some people just want controversy and tension for their ulterior political ends.